← Merry Christmas everyone !!! Today we are celebrating AS’s Birthday so I want to wish the love of my life on his special day. In the morning, we celebrated the birthday as per Nepali tradition with Sagun and tika. Chhori made it extra special by saying Happy Papa :). She is still learning to speak. She gave him his birthday card and gift. I baked him a Nutella mud cake and I am glad he liked it. Tonight we are going out for dinner and it will be a perfect end to the celebration. 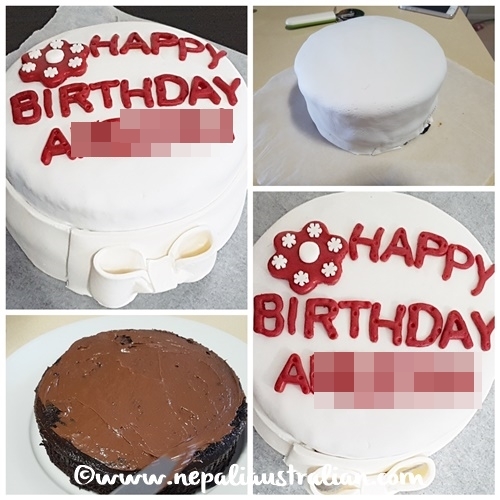 This entry was posted in Celebrations and tagged Australia, australian, australian nepali, baby, baking, birthday, birthday cake, celebration, chhori, Holidays, hubby, M from nepaliaustralian, mud cake, Nepal, Nepalese, Nepali, nepali australian, Nepali blog, Nepaliaustralian, nutella mud cake. Bookmark the permalink. Thank you, hope you are having a great start of 2017. Take care. Happy Birthday to Mr Australian. Australian, is that Mum in the top pictures ? I can see by your clothes that it’s hot down under. We’re shivering here with temperatures down to 5c some nights. Only three months before it starts to get hot here. Have a nice day, all of you. Yap, that is mum. It is super hot these days, mid summer. Today it is around 32 and muggy. 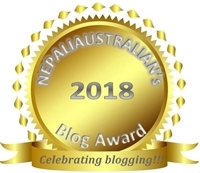 Are you planning to be in Nepal in Nepal few months? I wish I could, Australian. But someone must be here in the Lisbon apartment. I think about going, all the time, but no way at the moment.